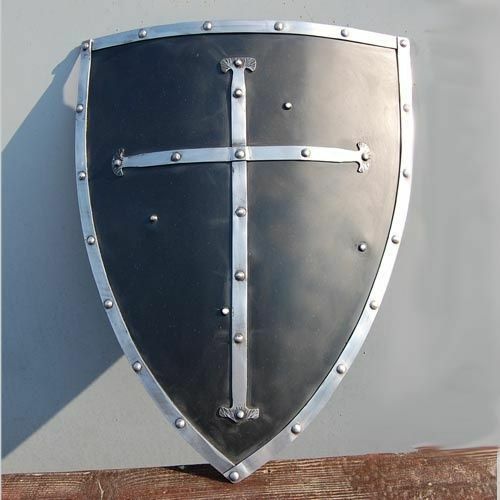 Steel shield is a model of medieval knight defense, more known as triangle or heater shield. 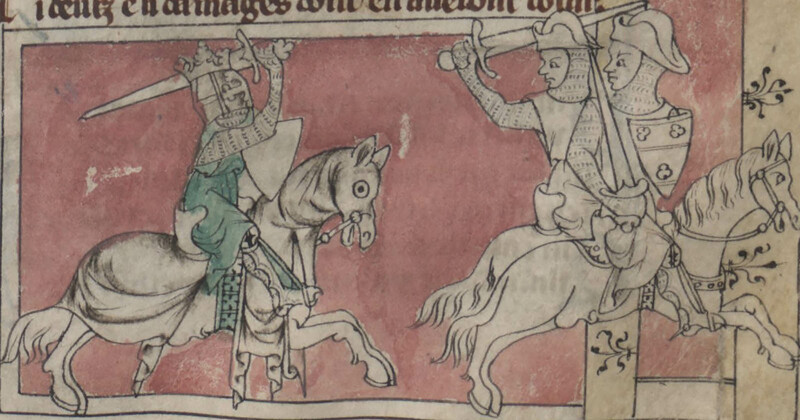 Medieval armor of similar shape and different sizes were in wide use by infantry and cavalry starting the XII century.  There are many historical sources, where you can see images of heater shield. 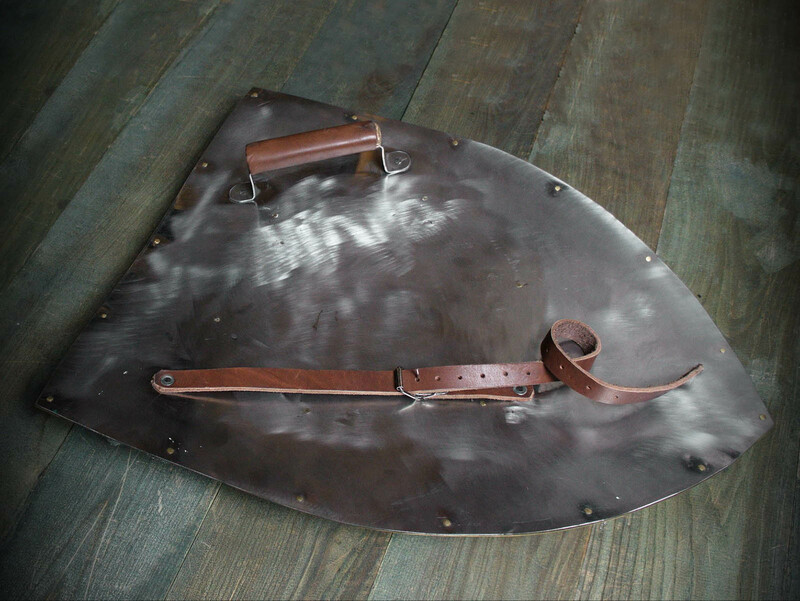 This knight steel shield is perfect weapon for battles with wooden, steel or duralumin weapon. In options, you may choose different size, type of metal and decorations for your authentic steel armor. 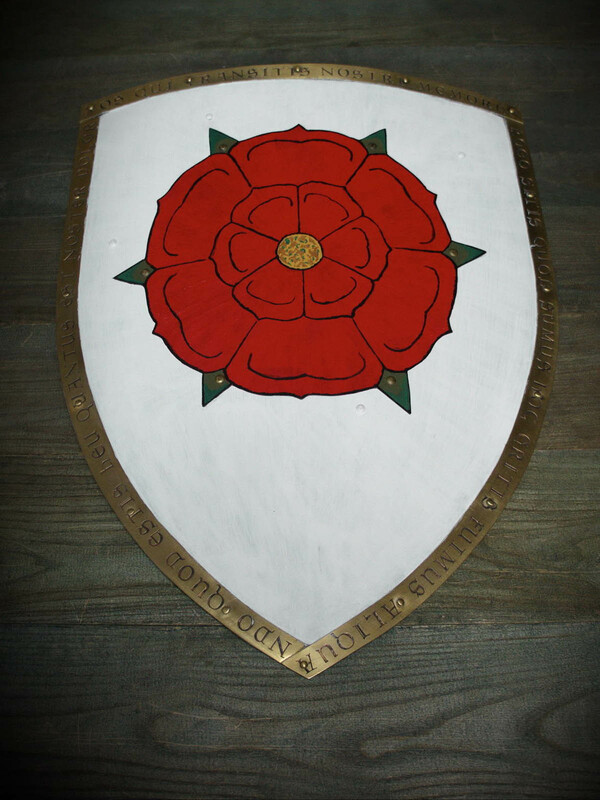 You may also like this triangle shield for reenactors and SCA. Hoplite shield (also known as hoplon or aspis) is a type of ancient shield, which was used by Ancient Greek soldiers called hoplites. 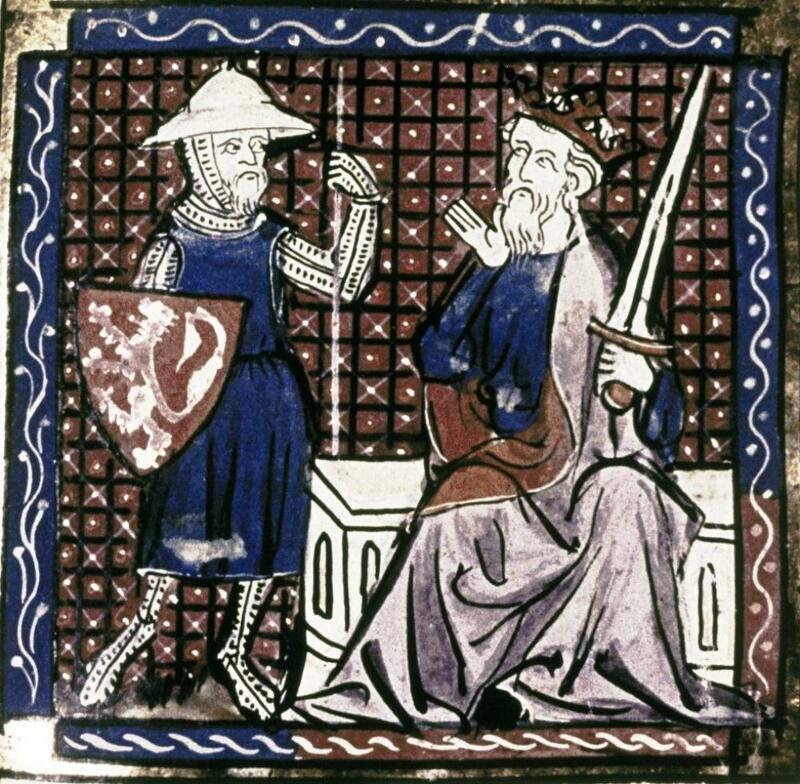 Together with sword and spear, such shield was an essential part of warrior’s armament. 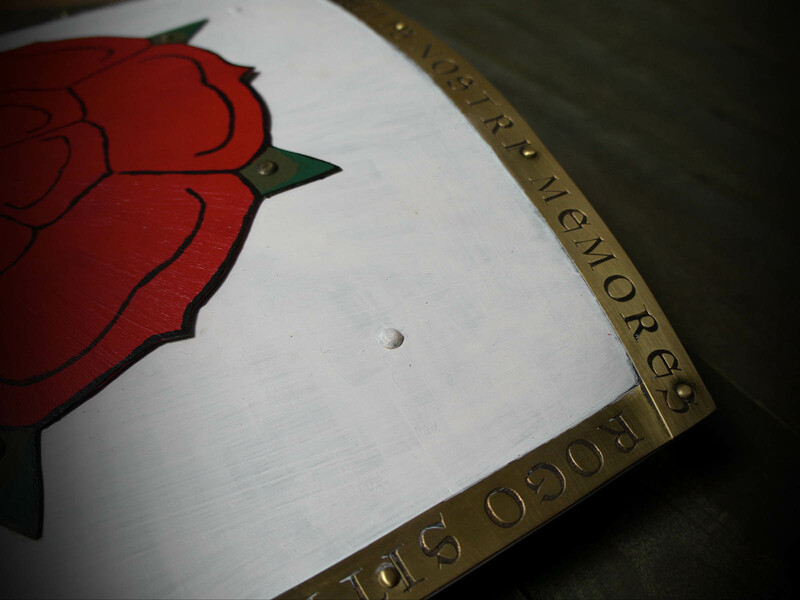 Large concave shield was usually made of wood; some models had also bronze cover. Vatican shield is the only one aspis which was survived to this day. It is also known as Bomarzo shield, named after the place where it was found in 1830 year. It is kept in Museo Gregoriano Etrusco, Vatican now. Shield aspis, Vatican Ancient aspis shields were about 80-100 cm (32-40 inches) in diameter. Our model of Greek shield hoplon is in size of 80 cm (32 inches) at height and 70 cm (28 inches) in width. It has true cross-grips, put not in the center of shield and held by the left hand, with leather strap that is worn over the left forearm and elbow. 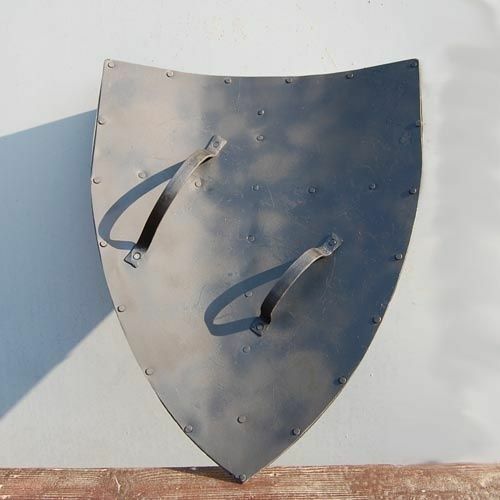 You can use this functional battle shield for: SCA HEMA Larp Stage performances Medieval festivals Reenactment events Base price includes following..